Reading Rainbow, which ran on PBS from 1983 until 2006, embraced the mission to inspire a love of reading among young children. For 26 years, the show was co-produced and hosted by Star Trek: The Next Generation‘s LeVar Burton. Recently, Burton, former film, television producer Mark Wolfe and CEO Asra Rasheed have established a company called RRKidz, which holds the rights to the Reading Rainbow brand. Current tudies, however, have shown that while television still occupies a large portion of children’s time, about half of children under 8 have access to some sort of mobile device, such as a tablet. A recent study in the UK suggests that when children read, they prefer to read text messages, magazines, websites and emails than literature. As many kids who used to watch Reading Rainbow on TV have now become parents, RRKidz is working on offering their children an incentive to read by creating the first Reading Rainbow app. To create the app, the company is collaborating with leading publishers such as Little, Brown Books for Young Readers, Holiday House, Charlesbridge Publishing, and others. The new iPad app includes 150 narrated interactive books, classic Reading Rainbow segments, and 16 new video “field trips” starring Burton that kids can navigate through themed “islands” such as “Animal Kingdom” and “Action Adventures & Magical Tales.” The content will be updated regularly and unlimited access will cost $9.99 a month. The app focuses on the interactivity of the virtual world, which television cannot provide. For example, every story comes with games and puzzles and allows young readers to track the minutes they’ve read from a dashboard and receive digital stickers as rewards for finishing a book, as well as to design their own virtual backpacks with titles to read next. 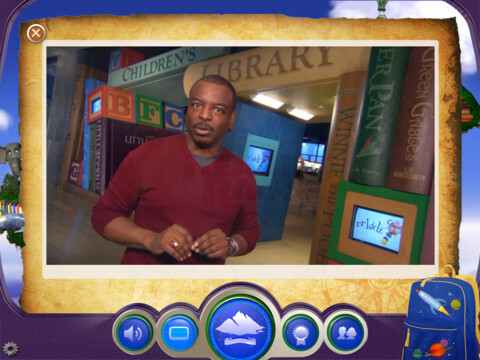 LeVar Burton himself has carefully curated the selection of titles available through the app by choosing an impressive selection of both fiction and non-fiction award-winning children’s books, exploring a wide range of interest, from action to science and from adventure to nature. This rich selection aims to allow parents to discover or rediscover the best quality children literature in different genres. To offer this rich content, RRKidz is using the company’s proprietary cloud-based Book Builder tool, which allows for quick and affordable conversion of books into enhanced books. The tool is accessible to publishers across multiple platforms. 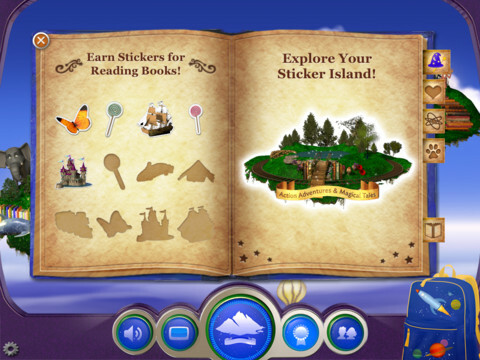 While the makers of the app hope that the parents’ nostalgic sense will give their product an advantage over other children’s books in the App Store, the creators of the app hope to encourage reading by making digital features look less distracting and more subtle like the features of pop-up books which enhance interactivity. Clearly, by doing something he always enjoyed, Burton is ready to take Reading Rainbow somewhere it has not gone before. UPDATE: Watch the trailer below. 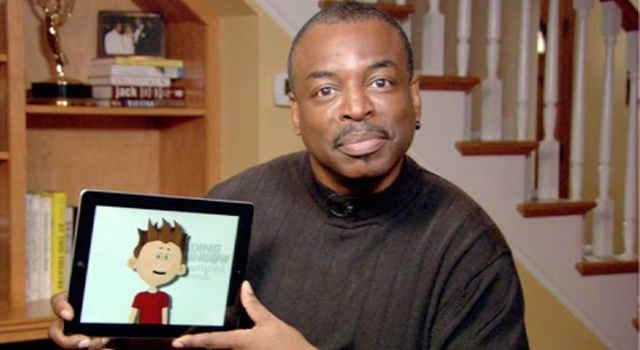 Reading Rainbow for iPad is now available through iTunes.